Dr Vadim Mirmilstein is an expert and has a breadth of experience in infertility, advanced laparoscopic surgery, normal and high risk obstetrics, general gynaecology , colposcopy and cosmetic vaginal surgery. Given his broad experience in all areas of his specialty he offers continuity of care to all his patients without the need to be referred to other gynecologists. 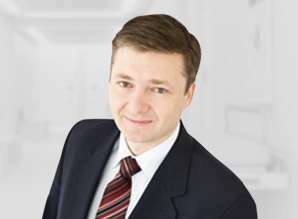 Being Fertility Specialist, Advanced Laparoscopic Surgeon and Obstetrician, Vadim offers to all his patient care and support during long and difficult journey from pre-pregnancy counseling, full range of fertility treatments for male and female including IVF if required, pregnancy care and delivery and general gynecological treatment and follow-up up to menopause and beyond. Through continuous self-education and training Dr Vadim Mirmilstein offer his patients the modern and the most appropriate treatment options. Vadim is understanding doctor who does his best to assist women and their partners to get an appropriate and individual care they need. He believes that the patients should play an active role in decision making and guarantees that you will not feel like a number.